With a string of number-one hits showcasing Karen Carpenter's warm and distinctive vocals and Richard Carpenter's sophisticated compositions and arrangements, the Carpenters were responsible for some of the most popular music of the 1970s, and this compendium collects more than 50 articles, interviews, essays, reviews, and reassessments that chronicle the lives and career of this brother-sister musical team. 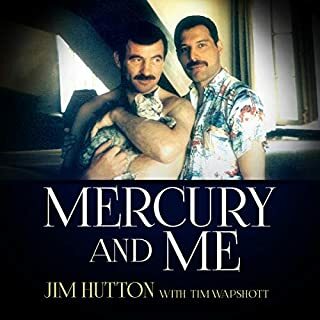 The relationship between Freddie Mercury and Jim Hutton evolved over several months in 1984 and 1985. Even when they first slept together, Hutton had no idea who Mercury was, and, when the star told him his name, it meant nothing to him. Hutton worked as a barber at the Savoy Hotel and retained his job and his lodgings in Sutton, Surrey, for two years after moving in with Mercury. He was never fully assimilated into Mercury's jet-setting lifestyle, but, from 1985 until Mercury's death in 1991, he was closer to him than anyone and knew all Mercury's closest friends. From the day he was born, Nick Traina was his mother's joy. By 19, he was dead. 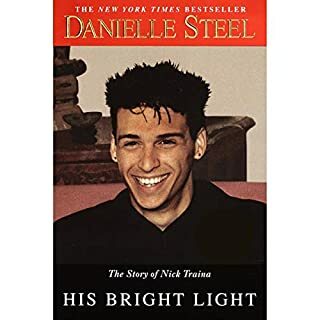 This is Danielle Steel's powerful, personal story of the son she lost and the lessons she learned during his courageous battle against darkness. Sharing tender, painful memories and Nick's remarkable journals, Steel brings us a haunting duet between a singular young man and the mother who loved him - and a harrowing portrait of a masked killer called manic depression, which afflicts between two and three million Americans. Marcia Brady, eldest daughter on television's The Brady Bunch, had it all. But what viewers didn't know about the always sunny, perfect Marcia was that offscreen, her real-life counterpart, Maureen McCormick was living a very different - and not so wonderful - life. Maureen tells the shocking and inspirational true story of the beloved teen and the woman she became. Not long before her 50birthday, Mackenzie Phillips walked into Los Angeles International Airport. She was on her way to a reunion of One Day at a Time, the hugely popular 70s sitcom on which she once starred as the loveable rebel Julie Cooper. Within minutes, Mackenzie was in handcuffs, arrested for possession of cocaine and heroin. But the star who turned up High on Arrival has finally come back down to earth - to stay. Award-winning songwriter Linda Thompson breaks her silence, sharing the extraordinary story of her life, career, and epic romances with two of the most celebrated yet enigmatic modern American superstars - Elvis Presley and Bruce Jenner. Little Girl Blue is an intimate profile of Karen Carpenter, a girl from a modest Connecticut upbringing who became a Southern California superstar. Karen was the instantly recognizable lead singer of the Carpenters. The top-selling American musical act of the 1970's, they delivered the love songs that defined a generation. Little Girl Blue reveals Karen's heartbreaking struggles with her mother, brother, and husband; the intimate disclosures she made to her closest friends; her love for playing drums and her frustrated quest for solo stardom; and the ups and downs of her treatment for anorexia nervosa. After her shocking death at 32 years of age in 1983, she became the proverbial poster child for that disorder; but the other causes of her decline are laid bare for the first time in this moving account. 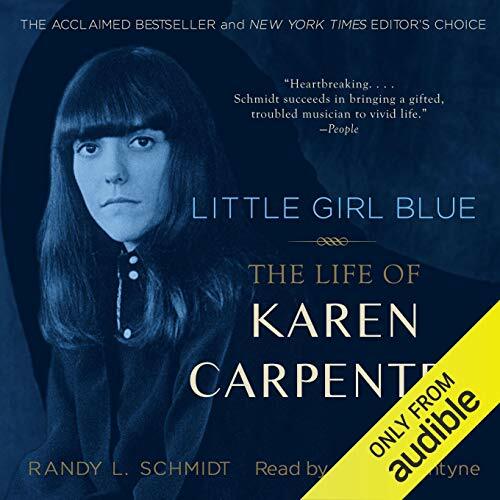 Little Girl Blue is Karen Carpenter's definitive biography, based on exclusive interviews with her innermost circle of girlfriends and nearly 100 others, including childhood friends, professional associates, and lovers. Karen Carpenter's real story finally revealed! If you love the Carpenters music, and consider Karen Carpenter's voice one of the most precious ever, you're going to enjoy learning more about her! Even those who don't care for the Carpenters music, this is a beautiful, nice, interesting, musical, but also sad and tragic story! But certainly one that will keep you interested from start to finish, and you will be longing to learn more and understand more about this life which was over way too soon! If you already know a lot about the Carpenters and what ultimately happened with Karen, you are going to learn much more, because this book tells this story in a way it's never been told before, with some of her closest friends thoroughly telling us new information for the first time! The more you read, the closer you get to her and her family! In the end, you feel like you know Karen very well, almost personally! 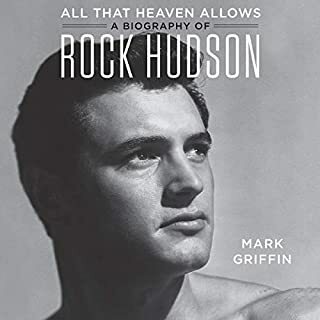 From a childhood in Connecticut, filled with records, sports, and dear friends, through an adolescence with a lot of music and the discovery of her great friend, the drum kit, to a youth full of gold records and awards! The personal conflicts, the struggle for true love and self control over her own life! The extensive touring and the attempt at a solo effort! The big admiration for a dear brother she looked up to and who loved her endlessly, and the unhappy, failed marriage! The depth of a beautiful, velvety, hevenly-sent voice, the disease, and the death! Karen was a truly beautiful young woman, she was pretty! But, behind the golden voice, there were many layers of a life with which she was happy, but it was not yet close to a life she dreamed of. She could never seem to find true love, despite being the center of attention to the Carpenters audience! The author Randy Schmidt did a wonderful and extensive job of years to make interviews and fill the gaps of this story, in a very well done tribute to this amazingly talented lady who inspired and still inspires the lives of many people, from all ages and different parts of the world. Her voice talks straight into my soul, the songs she sang talk straight into my heart, and the connection I feel with her is unaccountably natural, even though we're separated by time and space, so I wanted to get closer to her and learn about her story, and that was when this excellent book came out! And I've read it a bunch of times since then! Now we have this amazing audiobook version of this best-seller! It was read beautifully by Cheryl Bentyne, who has this incredible voice, and she was present on the day of Karen's last public appearance in January 1983, less than a month prior to Karen's passing, in the context of a reunion of Grammy-winning artists. She adds her beautiful voice to the telling of this story, with a soft and excellent reading, a great choice! Very good job! I loved both the book and the audiobook version of Little Girl Blue, and I HIGHLY RECOMMEND IT! The writer leads you to believe he's got the inside track on Karen and her eating disorder but instead he goes on and on about the parents, and the family, and the family's friends, and their move to California, and Richard, and how he got into the music industry, and how karen started singing, and how the music industry took on the Carpenters, and their accounting practices... I've listened to 11.5hrs of this book, total amount of time that focused on Karen was 1hr. All you learn about Karen is that she was a tomboy, started out playing drums, and fell into her singing career, he doesn't even touch on her eating disorder. 11.5hrs and that's all I get?! Ridiculous! He should have called it THE CARPENTERS AND THEIR RISE TO THE TOP not THE LIFE OF KAREN CARPENTER. This book is a total fraud. I was born in 1979, so I missed out on the phenomenon of the Carpenters. My only real idea of her was of a singer who died of anorexia. This book really opened my eyes to the remarkable life and outstanding talent of Karen Carpenter. Many things in this book surprised me: I love that she started out playing the drums! She was one of the first well known female drummers in the genre (probably in any genre.) I respect her complete loyalty to her brother, despite her potential to have a very popular solo career. Most of all, I just love her voice. Because I had little knowledge of the music, I kept pausing this book to look up Carpenters music online. I fell in love with her voice! I highly recommend for anyone, certainly not just carpenter fans. In fact I think those who are not fans will find this very interesting as well. The author explains issues the Carpenters had with their "goody-goody" image, and how it limited them and their music! 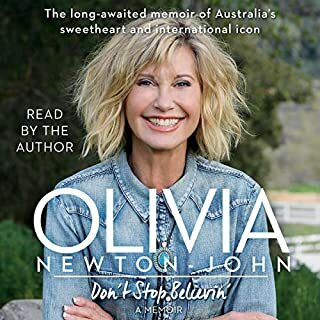 There's also a great discussion of other stars like Olivia Newton John, the Jackson Five, and others. I was really impressed by this book, and can't praise the narrator enough. I was confused by the reviewer who disparaged the book for making "Karen a victim". I disagree 100%. There is NO BLAME placed on any one person for Karen's eating disorder. Instead this book succeeds in demonstrating how the illness slowly came about. There's no one thing that caused her condition. She developed a poor body image, meanwhile she was constantly in the public eye, placing incredible pressure on herself to be perfect. It's also a complicated function of many issues like control and self confidence. I never felt like she was victimized! An excellent book for everyone. I think music lovers will be surprised by how good this book is. A must buy! Karen Carpenter...A friend and legend to all. 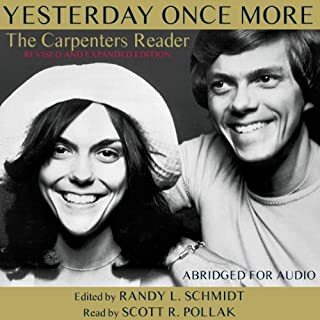 I thought this audio book depicted the very essence of Karen Carpenter and would recommend it to anyone who is a fan of the greatest female singing voice there was. Excellent story. Very sad. What a shame. A great group derailed by overwork and self loathing. Raw, real, riveting look at a truly uniquely gifted singer gone much to soon. This book added new meaning to every lyric I have ever heard Karen Carpenter sing and the emotion between each note she uttered. Ms Carpenter any more than I did when I started this book. I do find I like her family less. Some people have written that they are disappointed that the book didn't really concentrate on Karen Carpenter but I think it went beyond telling about Karen by taking a closer look at the people that were close to her while she was alive. Like it or not, our family, friends and business associates mold who we are. We can fight off the darkness that is sure to come at all of us but some of us don't fight in the best manner that would help our situation. How many people have pursued a career in entertainment and were told they were too fat, too ugly, too big a nose, can't sing on pitch, etc... It is how we respond to negativity that can propel us or drag us down. Karen chose a path that dragged her down. Karen chose to focus on controlling her weight and in the end it controlled her. The author did a great job of parading all the people Karen associated with and laying them out before us. We feel the joy her friends felt for knowing her and the pain they experienced in watching her deteriorate. I felt such strong anger towards her 'husband' who was nothing but a leach. I actually understood why her mom may have behaved the way she did; she is old-school and sometimes that is how things were for that generation. I was absolutely heart-broken for her mother when she found Karen. I found this to be a fascinating book. My only complaint is the performance. You will need to have your volume turned up very high as the narrator can be very hard to listen to. The narrator's vocal inflection constantly goes up and then way down to a whisper. I missed so much of what the narrator said as she would constantly end her sentences on a whisper. Prior to starting this book I had just finished the excellent “Rise and Fall of The Third Reich” and thought that a story about the Carpenters, all ‘Mom’s Apple Pie’ and Church On Sunday, would be an interesting change of pace after 3 months in the company of Hitler, Goering, et al. The bullying and the familial manipulation continues when the band are on the road, and the book details a number of occasions where people who got in the way of the Carpenters juggernaut were simply thrown away, with no thought for who got hurt in the process. Friendships, Relationships, even Family; everything and everybody is sacrificed for the sake of Richard’s career. 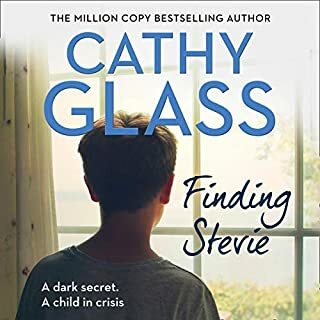 There’s a lovely section near the end of the book where Karen embarks on a solo recording project whilst Richard is recovering from ill-health and exhaustion. She flies to New York and teams up with producer Phil Ramone, who then introduces her to Billy Joel’s touring band, known to be one of the hardest working bands of the day. Over the ensuing weeks of recording Karen finds a whole new way of working that is exciting and fresh, as the band members and fellow artists Billy Joel and Paul Simon welcome her into their circle, enabling her to relax and have fun. She discovers a totally different approach to recording and really blossoms in the studio away from Richard’s control. A highly recommended book, but be warned; you will never listen to the Carpenters music in the same way ever again. Heart breaking story. Information about her life garnered from close intimates and friends. From various television documentaries watched have heard same stories rehashed so good to learn Info from more reliable sources. Would recommend.